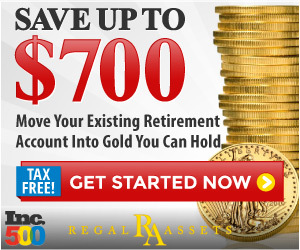 The universal appeal of gold as an investment option is unparalleled. This yellow metal has always attracted investors towards it. The year 2016 is no different when it comes to the popularity of gold as an investment option. With the mining of gold becoming increasingly difficult as the new reserves are deeper and harder, and with its rising demand in India and China, we cannot blame people for turning to this precious metal for the potential returns it can offer to its investors. The growing uncertainty in global markets have also added to the sheen of gold investments. Gold remains a very attractive investment due to many factors. Even in the deepest of financial crises, gold will shine through without getting affected. The stability of the gold investment is also a factor which justifies its popularity. With gold being used in jewelry and electronics, there is a constant demand source which exists for gold. Another reason, people pick up gold for investment is to diversify the investment portfolio, so that when one investment is at risk, the other can earn you returns. The liquidity it offers is also an advantage. Gold price forecast for the year 2016 is a source of good news for all those planning to or have invested in gold. With some major changes in the global political scenario and with the onset of deepening economic fears worldwide, gold is a very viable investment option now. With the U.S Federal Reserve postponing the interest rate hike and with the weakened dollar value, the chances of gold price rising further is high. There are many ways to invest in gold. You can either purchase the bullions or coins, or go for indirect investments like investing in companies which produce gold. Unfortunately, like the other market options you do not get any income by holding this investment. You can only gain by selling it off when the price is high. Gold investments can be really good for those who are willing to wait patiently for the returns from their investment. The investors should study the global scenario well, before starting the investment. Also, be prepared to face some huge deviations from the predictions. Sometimes, while the predictions for the price trends would be good, what happens in real would be the total reverse of what has been predicted. Thus this investment also has its share of volatility. Gold has an inverse relation with the currency value and stock market trend. Gold prices go high when the dollar hits a low and vice-versa. If there are chances of inflation or recession, then gold is the best investment to make. While gold is considered a comparatively safe investment option, reckless speculation without any study or research can lead you to lose money on a big scale. Every investment needs a proper study especially those which involves huge sums of money like gold. The present supply crunch and soaring demand for the yellow metal clubbed with favorable global scenario can lead to positive news for the gold investors. So if you are planning on investing in gold, according to the present trends, 2016 can reap benefits for you.